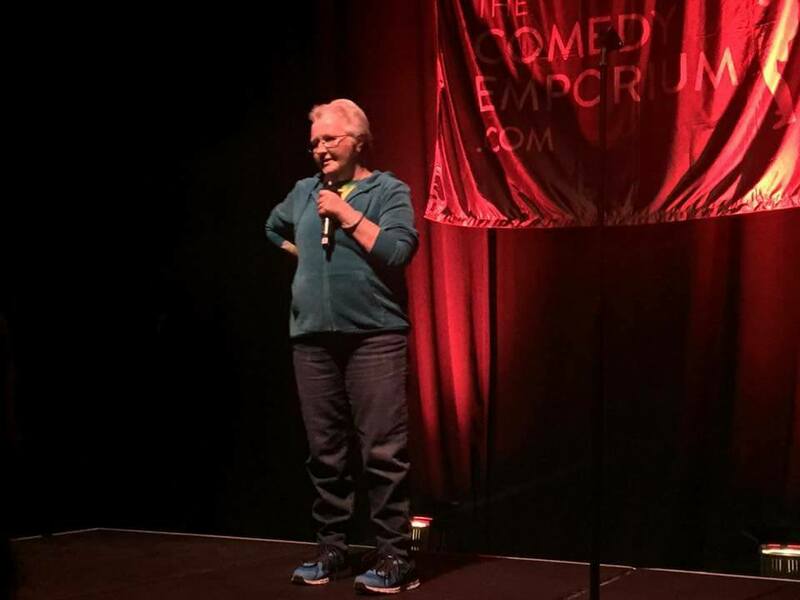 "A Grandma doing comedy... I would watch that"
Speeding madly towards 60, instead of putting on the brakes and moving to the slow lane, 'Gran In A Van' hits the accelerator and hits a wild adventure about living in a campervan, portaloo mishaps, sinister snakes and an irrational fear of the dark. Starting Stand Up late in life this Kwinana Grandma of four, who has never quite grown up herself has always loved making others laugh with her quick wit and crazy views on life. A tiny, fun size bag of wrinkles and giggles, Leonie will take you on a haphazard journey as she skids aimlessly along on the trip of a lifetime.